Share them around, or keep them for your own secret stash. 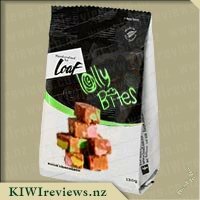 I have been lucky enough to have been selected by KIWIreviews a couple times in the past to review different loaf bites products, so was quite excited to be selected to try the lolly bites too. Like the other loaf bite products the packaging is eye catching and easy to open. All necessary information is easy to read and the packaging is not over loaded with nonsensical info. 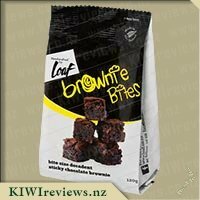 I also live in Invercargill and really struggled to find these in store. It&apos;s possible that we just live so far away from everywhere that our stores are yet to stock them. I spent an afternoon looking for somewhere to buy these and none of our major supermarket chains had any in stock. So in the end I settled for a pkt of rocky road lol which is ok as we love them :) Other than the contents of the pkt being low and not being able to find any of them down here these are really great! I&apos;m a self-confessed sweet tooth with a soft spot for New Zealand made, Loaf goodness. 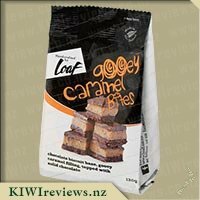 After being lucky enough to review other Loaf products in the past, they are definitely a favourite and a go-to for bite sized temptations. Upon receiving the product my significant other pointed out that it has very good packaging which is partially air filled to protect the product when laid flat, now this may seem deceptive to some (as it can be determined that the air space should be filled with product) but the air cushioning is there for good reason. The package size is 120g for 6 bites making this a great share-pack perfect for two people, or a few children. 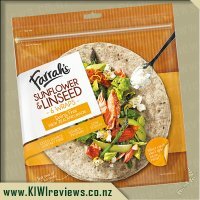 Noted on the packaging it has a short shelf life of two months, which could be a bit of a draw back but will ensure freshness when purchased. The design on the packaging is eye catching, and clearly shows what the product inside looks like. The $3 price for 120g is reasonable for the quality, home-baked style of the product and is comparable to bakery prices - yet in the packaging I find this much more convenient. 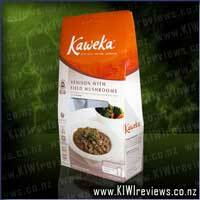 The packaging is relatively easy to open with a tear type top, and is foil lined for freshness. Upon opening the bag the smell is familiar, and almost nostalgic - that home-baked lolly cake smell, which is very appealing. The size of the individual bite is not too large - could be eaten in one or two bites, and is great for portion control (which I need, especially around products like this!). The individual bite is a very light slice that isn&apos;t too dense, is quite sweet and lightly coated in coconut but not over done. The lollies inside the slice appear to be evenly distributed and are a soft texture that is easy to eat. The bites are not crumbly, well cooked / baked, and have been created using a good recipe that is both familiar and new at the same time. The bites really do taste like home baking - which we adored and I believe most people will. 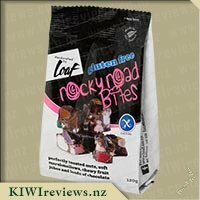 Home baked, New Zealand made treats that are no-fuss, have portion controlled sizing, and are a offering a kiwi classic in a smart package that&apos;d be ideal for road trips, the office, or anytime as a treat! Loaf Lolly Bites are another classic slice offered in a bite form from the quality company. If you like the idea of these, give them a go! They may be a bit too sweet for some, and in that case the bite size is perfect, making them even easier to share or save for later. I was excited about getting to review these loaf lolly bites. I was lucky enough to try out some of the other loaf bites and loved them all so was looking forward to seeing how these would measure up. First off, I really like the plain yet effective packaging. I love the use of the simple black and white that contrasts with the bright green. I think this is very eye catching and would make the product stand out on a very crammed full supermarket shelf. I also like that the packet was easy to open and its a nice shape to easily grab and hold onto. Once I got the bag open I was hit by a sugary quite sweet smell which got me excited about the taste. I pulled out a bit and liked that it was small in size and easy to grab. Perfect size for chucking in the lunchbox as a treat or even putting the whole bag into my drawers at work for that mid afternoon pick me up. I thought there was a good ratio of biscuit base to lolly. When I bit into it it was nice and soft. I did notice the lack of coconut and that is something I love on my lolly cake. The biscuit base in my eyes was a wee bit bland and I didn&apos;t find it very sweet. But, after trying the lolly with it I can see why the biscuit base was perhaps left a bit bland and the sweetness of the lolly really balances it out. All in all I think its a nice treat. I think the price of $3 is fairly good considering the small amount of lolly bites in the bag. But when you compare a slice from a bakery and chop it into small pieces I think it&apos;s really similar. Hospital food has improved over the years, but it&apos;s still horrible compared to fresh home-made fare. That applies the same from steak to cake, and these lolly bites were no exception. One of the ward nurses bought some from the hospital canteen a few weeks back and offered me a piece, and while it wasn&apos;t too bad it was nothing special. Grainy biscuit crumbs, chewy lollies totally unsuitable for someone with ill-fitting dentures, and a total lack of anything you would call "flavour" is perhaps a charitable description. Then later that day, I found out I had been selected to receive a bag of these to review and I started to worry that maybe I should have cancelled my request. I honestly didn&apos;t think I could face another bland, chewy, barely-pleasant version of something I recall my dear departed wife making for the whole whanau right up until the day she had her heart attack. Still, I put my name forward (for some reason I can&apos;t recall now) and I felt obligated to push on and do the duty. I am now very glad I did. Upon receiving the pack, I was surprised at visually beautiful it was compared to others. I can easily imagine these standing out on the shelves, attracting the passing customers&apos; eyes. I didn&apos;t realise that the picture on the cover showed the entire contents, rather than just a token representation. Still, for $3 you get less than this pack holds when you go to the bakery, so I guess it was still fair. My first bite was awkward because I didn&apos;t have my dentures seated properly, so as I bit down they shifted and squeezed my upper gums a bit. However, I realised they were actually very soft, with marshmallow style puff candy in them rather than the chewy monstrosities someone in the hospital commissary thought to use. So, I whipped out the fangs and gummed the rest of the first piece into submission. Not only was this possible, it was strangely pleasant. The next four pieces disappeared over the span of the day - I didn&apos;t want to risk my guts acting up by overloading them with sweeties - and the same nurse who kindly offered me a piece of her lolly cake came on shift as I finished the fifth piece, leaving one in the bag which I gave to her with thanks for her kindness a few days earlier. Her reactions were almost comical - surprise, delight, shock, and then a serious crafty planning kind of look - the kind you see on the comic villain on TV as he starts to plot revenge on the hero - came across her face. Turns out, she went out and bought a bag of these and gave them to the baker who makes them in-house with a note that read something along the lines of "Here&apos;s how you do it properly - TAKE NOTES!" 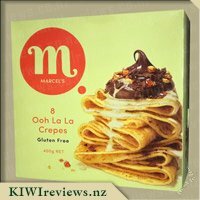 My only small regret is that the packet was gone all too soon, but I have a feeling one of my local mokopuna is planning to buy me some next week, after hearing me go on and on about how delightful they were, and how they helped take my mind off my current situation. 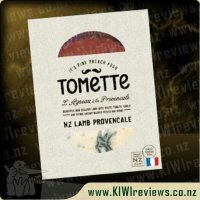 So, thank you KIWIreviews and Loaf, for the chance to add one more really wonderful memory to the stash I&apos;ll be taking with me when I go. I tried many lollie cakes in my time, and I can tell you they are not all created equal. Some people add weird things to lollie cake and then add too much condensed milk or biscuits, either making it too wet or too crumbly. I have already tried some of the bite range from Loaf and I&apos;ve been really impressed, it&apos;s a great idea to have these bites in your cupboard should the need arise for school lunch treats, to add to a sweet treat dinner platter or for a sneaky sugar hit when the kids have gone to school. When I opened the packet, with my two daughters eagerly looking on, the Loaf Lollie cake bites looked very traditional, very well made with brightly coloured lolllies and a nice light coating of coconut. We all bit into them and they were so moist that they just melted in our mouths, and both my daughters commented that they tasted homemade! Now that&apos;s the ultimate compliment. I was pleasantly surprised by the price of the bites, $3 seemed very reasonable, taking into account that you can pay extraordinary prices at the supermarket for lollie cake and it&apos;s not even that nice. You are getting quality here with these Loaf bites and thats what should sell them. When I was a kid, my Mum would sometimes make lolly cake to use up leftovers from parties... that and Rocky Road if there were lots of chocolate and jelly lollies. Still, I was always happiest when it was lolly cake because I didn&apos;t end up with sticky, messy fingers. Roll forward through the years and as an adult I now find most lolly cake bought in stores to be quite sickly sweet - it&apos;s rare that I can finish a single slice in one sitting, and more often than not I have maybe 2-3 small bites and hand the rest off to my youngest son to finish. That&apos;s IF I even bother to buy any in the first place. However, after reading that these weren&apos;t as overly sweet as some others, I decided to give them a go, and while I probably still won&apos;t be much of a lolly cake fan any more - my tastes having been changed over the years - this is one lolly cake I will gladly have a nibble on if it&apos;s available. 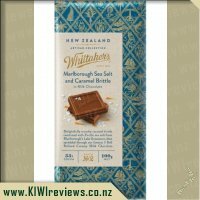 The texture is really nice - I liked the graininess of the coconut and the firm but soft lollies - and the flavours complement each other because of the simple recipe and keeping the ingredient list down to a minimum. The pack size was good - more than I wanted to eat in a single sitting, but each &apos;bite&apos; was a good size for me. I would like to see these in a resealable bag if possible, but in the mean time it was no big deal to tip them into a small clip-lock container and pop them in the fridge between nibbles. I found that trying to tear the bag open caused it to split wide open, making it impossible to reseal, so if you want to preserve the bag for storage you should cut the top off instead, and use one of those Magic Lock bag sealer rods to keep a good clean seal on it. Overall, a nice treat, but for me personally, that&apos;s all these will be. Still... at $3 a bag, you get about the same if not a little more than you would get from a slice bought in your average local bakery, so this is something I am happy to buy and share with the kids as a reward for them. They would be a nice little something for Summer picnic getaways too. I was stoked to be given a packet of this lolly cake bites to review as lolly cake is a favourite for my husband, and something both myself and Miss 8 enjoy too. We usually stick to home-made lolly cake though as we once made the mistake of eating the packaged cheap stuff from the supermarket ... a mistake that we&apos;ll never make again! Upon opening the packet, I noticed that the pieces of lolly in the cake, were a decent size so the flavour wouldn&apos;t get lost among the biscuity surround which was great. They even felt slightly homemade with slightly irregular shapes... but I&apos;m not sure it was enough to sneakily pass this off as my own creation! My husband dived straight in and immediately commented that it wasn&apos;t as good as the stuff I make. I can see where he was coming from as it was a more melt-in-your-mouth kind of texture that I wasn&apos;t expecting, but I wouldn&apos;t say it was actually bad - just different. What I loved is that these don&apos;t taste processed at all - and that&apos;s the big difference between this and the cheap supermarket stuff. I felt they were very sweet, but this is to be expected and probably mostly from the lollies rather than the biscuit part. They were extremely moreish and between the 3 of us in our family, the packet was gone pretty quickly! Making lolly cake is time consuming and a bit messy, and it&apos;s not always easy to buy fruit puffs these days (and I personally won&apos;t substitute with marshmallows or eskimos as it&apos;s got to be the real thing! ), so if I wanted to keep things simple and buy lolly cake, then this is probably an economical and tasty way to go. In fact I was quite surprised to see this packet only costs $3 as that&apos;s very comparable to a packet of chocolate biscuits, and much nicer in my opinion. Growing up mum used to make Lolly Cake all the time as it was my dads favourite sweet dish. She used to use Eskimo Lollies and I always found it too rich and was lucky if I could finish my square, which was always huge. I was a little hesitant in trying the Loaf version as memories of mums came flooding back. Opening the packet was nice and simple as you just tear where indicated. Pulling one out I wanted to examine it but my daughter was standing right next to me with her hand out begging to try one, so I passed it to her, before inserting into her mouth she said it looks like a rainbow took a couple of bites and asked for another one. 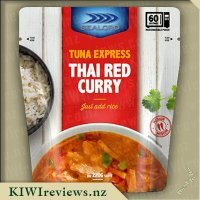 I took a small bite and was pleasantly surprised with the taste no where near as sickening as mums and I found it really yummy. I much prefer the lollies used in this as it blends into the taste perfectly and you are not left with the sickening after taste, a tad sweet but still extremely yummy. As there are only six bites in the packet it did not take us very long to finish off the bag and my daughter was still asking for more. 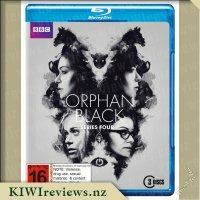 I really enjoyed and I know her older sister will tell us off when she gets home from school as she has been dying to try. As off to the supermarket very shortly I think we will be picking up a couple of bags as the price is fantastic, the bites are the perfect size and I know hubby has secretly been wanting to try as well. I think I will give a packet to mum and send one over to my brother in Australia to see what they think but I am sure they will agree this is a winner. Lolly bites remind me of childhood memories of when I would go up and stay with my nana in the holidays and she would always have lolly cake ready for us among many other treats. It reminds me of birthdays as a kid growing up, it reminds me of happy times. When opening the bag of lolly bites straight away the memoires flooded back. Upon my first bite I was taken back to a time of those memories when everything was peaceful and delightful. I love how one simple food can bring back so much memories. I notice there were 6 bites in the bag, which I accidently tore all the way open so I was thinking now that the bag is wrecked I will have to eat them all. I think the portion sizes are great and it is a great treat and snack size treat at that. Considering I could eat the whole pack in one sitting is a little dangerous though and I would be mindful of the when buying some. I think they would be great for if you had kids and going to the park or beach or travelling to chuck a bag in your handbag as you are going out the door as a nice treat for the kids. 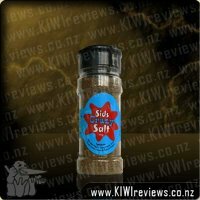 I love the flavour and texture and it is well blended with a slight coconut dusting to finish the lolly bites off. I think these go down extremely well and for the taste and texture it would make you always want to go back for more. 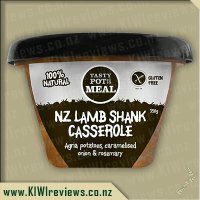 I love the packaging which is simple but eye catching with the classic New Zealand favourite on the pack which is very true. The picture of the lolly bites on the pack is the same of what you really get, so it is great that no false advertising is happening. Very yummy lolly bites and would definitely buy more of these, thanks for letting me review them. Everyone in our household loves lolly cake. We have also fallen in love with several Loaf products so we had to try Loaf&apos;s new Lolly Bites. I can&apos;t believe I managed to keep them hidden in the house for over a week before we gave in to temptation. I had a feel of the packet and found it contained six pieces so decided to wait until my husband had gone out so that I didn&apos;t have to share as much. My daughters (6.5 and 8 years) were very keen to sample the bites. That gave us two each. We studied the bites.The bites were about half lolly and half biscuit. Although the photo on the packet showed pink, yellow and green lollies our packet contained just pink and green. They were just the right sweetness for me. I have had other lolly cakes in the past that were sickly sweet and I was grateful this wasn&apos;t. The coconut used for the coating was extra fine which meant we didn&apos;t get the usual coconut texture. Top marks from us all for flavour and texture, not too hard or too soft. Lolly Bites are a hit with all three of us. The only complaint from all of us was the packet was too small we were left wanting more. I have searched for these in the supermarkets and have find them. I am hoping it isn&apos;t long until they stock it. The decision on which Loaf treat to buy just got harder. Maybe the child that is the best behaved can choose. Or I get a packet when I am by myself and eat it all on the way home so no one knows. Now that sounds like a plan. Lolly slice is something that I love but don&apos;t have too often as it is definitely a treat food! 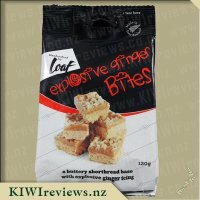 I have enjoyed the other Loaf products that I have tried so far, so I was keen to try their Lolly Bites. The packed is 120 grams and is approximately the same quantity as what you would get if you purchased two slices from the bakery. This makes the price of three dollars very reasonable. Of course, the other option would be to make a roll of it up but that means having access to a large quantity of this special treat in the house. The bag of Loaf Lolly Bites certainly allowed me to have a couple of pieces at a time rather than making up a whole roll at home and then feeling the need to eat it all! The first pieces that we tried from the bag seemed to have a lot of green in them. 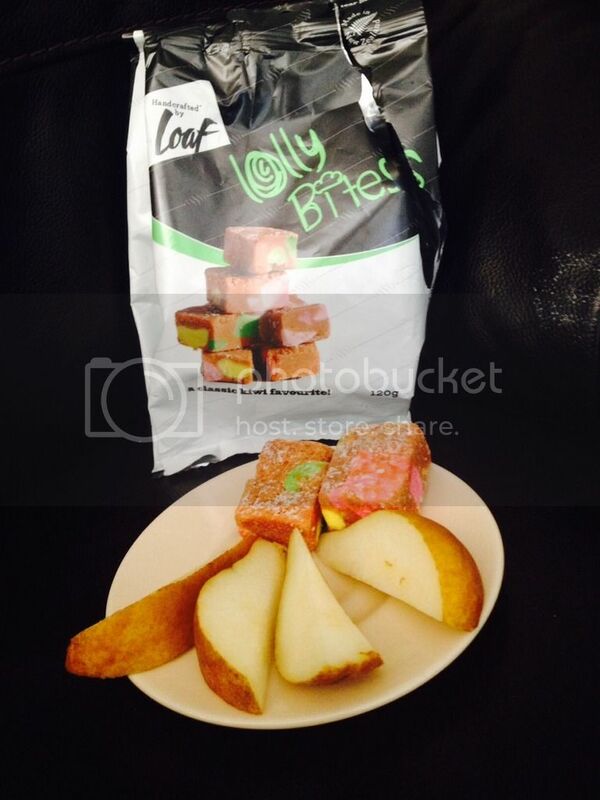 When we looked further into the bag, the lolly colours were all represents as shown on the front of the bag. The fact that the pieces were not exactly the same size was quite nice - it was a bit like a slice that could be made in your own kitchen rather than being a mass produced slice. The taste of the slice is very familiar and very close to the bakery version. The homemade version is a little different but the Loaf one was definitely very nice. The fact that the pieces are all cut up and ready to go, means that you could quickly pop them on a plate to take to a morning tea. I doubt that anyone would question it if you told them that you had whipped them up in your own kitchen! They have a crumbly type texture but they hold together surprisingly well. The bites are exactly what you would expect from lolly slice. I enjoyed a couple of pieces for my morning tea. I paired them up with a a few slices of pear. The combination was very nice. I think they would also go nicely with some apple or grapes. I like to add a bit of fruit to treat type snacks as it means that I don&apos;t sit and eat the entire bag of treats! I find some lollies very rich, so I emptied the contents of this bag on to a plate and then cut each piece in half before passing them round the group of five friends who had offered to help me review them. Before actually tasting them, we checked out the variety of colours and looked at the packet illustration. I have to say they matched the variety depicted fairly closely; the picture was realistic and the pieces had irregular edges, just like the real thing. I have eaten homemade lolly cake many times so was intrigued to see if this would stack up. We were divided as to reactions. Along with two others, I found the product quite sweet and half a piece at a time was quite enough. Two of the others thought the sweetness level was about right, and the last person said he thought it was not quite sweet enough (this after he had eaten two of the halves and asked if he could have a third!) Another comment was that there was too much coconut, but I did not think it was overdone; in fact, I could barely taste it. 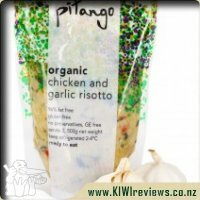 As far as the flavour was concerned, I found it quite muted and felt it suited the melt-in-the-mouth texture. For me the predominant flavour was that of the malt biscuit meal which was mildly chewy although a bit too dry for most of us. The size of the packet (120g) makes it an economical buy when you compare it to fresh lolly cake, and when it is cut it makes 12 reasonably sized servings. We all agreed that it stacks up well when compared to the home-made variety. If I have a problem with this product, it is that it is not something you would eat every day. It is not especially good for you, and yet, there are times when you just need a special sweet treat, and this does meet the criteria here. There is something slightly naughty but very satisfying in being able to enjoy a lolly just for its own sake! Lolly cake always reminds me of my childhood, every school holidays without a doubt my siblings and I would travel all the way up to Kaitaia to visit my Nana who would have a plateful of lolly cake in the fridge ready for arrival. Lolly cake was also one of the first things I learnt to bake from a young age as my Nana and I would always make a batch the day before we were to leave so that we could take it home with us. Having tried so many other delicious products from Loaf which are now regulars on my shopping list I couldn&apos;t wait to sample their newest creation lolly bites! The packaging really caught my attention, I loved the font that the &apos;lolly bites&apos; was written in and found the bright green words against the black background to be really effective, something that would certainly stand out on a supermarket shelf. The lolly cake pieces of the front package looked really tasty, and as I am not the hugest fan of coconut really I was pleased to see that they were not over coated in coconut. I opened the packet with Miss 3 and my partner waiting eagerly by my side for a taste of this much loved slice. With only 6 pieces in a packet I opted to cut 1 of the pieces into 4 quarters as I had plans for the rest of the pack. Miss 3 straight away declared it her favourite, and was horrified when I said she couldn&apos;t have any more, and my partner really liked it also saying it was a nice soft texture compared to the one his Mum makes (but we wont tell her that!). There was a generous amount of fruit puffs in the mix pink, yellow and green and we all loved that these were in big chunks and of a nice soft texture making them easy to bite. The malt biscuit base was extremely yummy and was also a great texture, not to hard or soft just right, I loved it! For months my lolly cake addicted friends had been BEGGING me to make them a lolly cake cheesecake, after seeing something on their facebook news feed however I found the idea weird, a cheesecake with a lolly cake base didn&apos;t seem right to me. However, when I saw these I decided to create my own version of a lolly cake cheesecake. I first made a chocolate malt biscuit base and then prepared my usual cheesecake filling, adding some caramel sauce to it for a caramel flavoured cheesecake, to this I added the remainder of the lolly bites cut into small pieces and stirred these through. 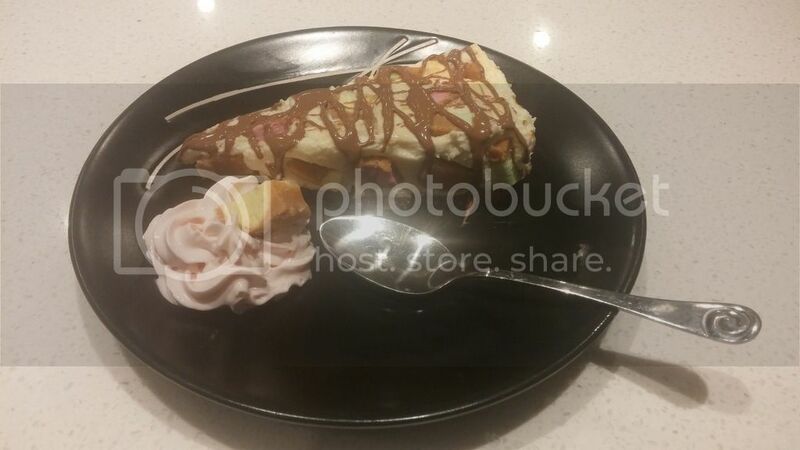 Lastly the cheese cake was sprinkled lightly with coconut and drizzled with melted chocolate. Arriving at my friends with the lolly cake cheesecake in toe everyone was really excited and asked to skip dinner and go on straight to dessert. Slicing it up the cheesecake looked gorgeous with all of the beautiful colours from the fruit puffs, and the taste was even better, my friends said it was the best cheesecake they&apos;d ever tasted, and one of them said they really enjoyed the texture of the lolly bites as these were nice and soft and not hard, this was enjoyed by both adults and children. Without a doubt I will be buying these again, I&apos;ve been looking for them but am yet to find them. I consider the price to be well worth it, especially if being used in a baked product or for decorating as they slice up well and go along way. A bag of these would go great in a gift basket and would be much appreciated I&apos;m sure! 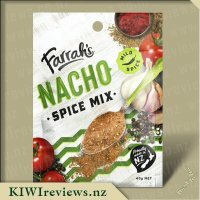 Farrah&apos;s Nacho Spice Mix is a family friendly recipe packed with flavours including cumin, coriander and a little bit of spice to give you deliciously seasoned nachos. This easy to use and versatile spice mix is great for fun dinners and snacks. 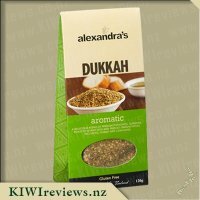 It has a mild heat, contains no artificial flavours or colours and is made right here in New Zealand.